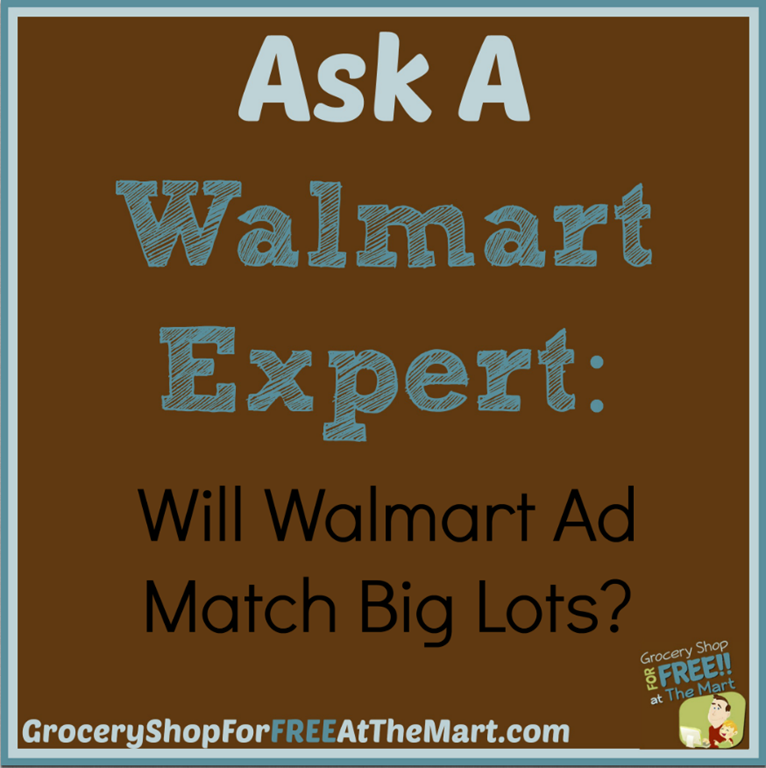 Ask A Walmart Expert: Will Walmart Ad Match Big Lots? Will Walmart Ad Match Big Lots? Walmart’s policy states We do not match the price in the following types of competitor ads:Going out of business or closeout prices. Big Lots is a closeout store so Walmart will not Ad Match them according to their policy. However, anytime you talk about Walmart’s policies it needs to be pointed out that these policies are not written in stone. Every store manager has the ability to override virtually any store policy on a whim so if you see an awesome deal that you want to Ad Match, ask the CSM or store manager. If you ask nice and haven’t done anything crazy to make them not like you, they will often say yes. But if they say no, don’t get upset. They are just following their written procedures. Read more Ask A Walmart Expert posts here.